Pre heat George Foreman grill. Prep your slices of bread and lay lettuce on two slices. Lay your frozen fish fingers on the grill for around 8-10 minutes of until they are cooked through and piping hot. Construct your sandwich. 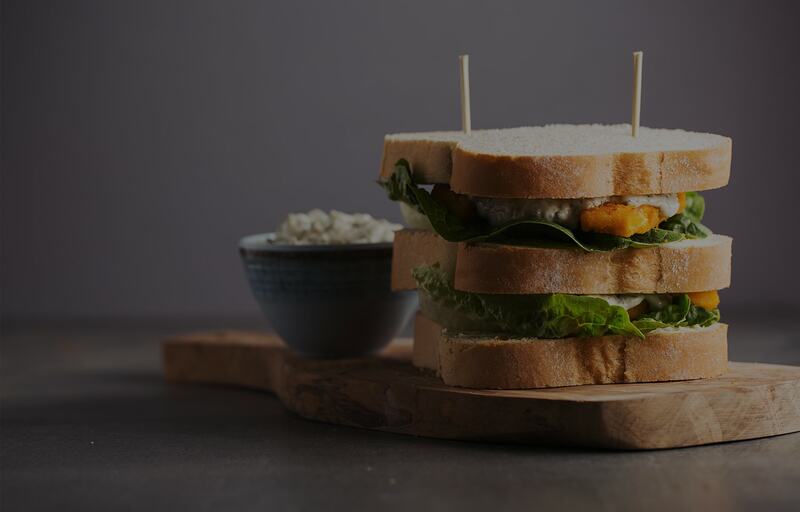 Layer one slice of bread with lettuce, 3 fish fingers, 1 tablespoon tartar sauce. Repeat and top with the remaining slice of bread.